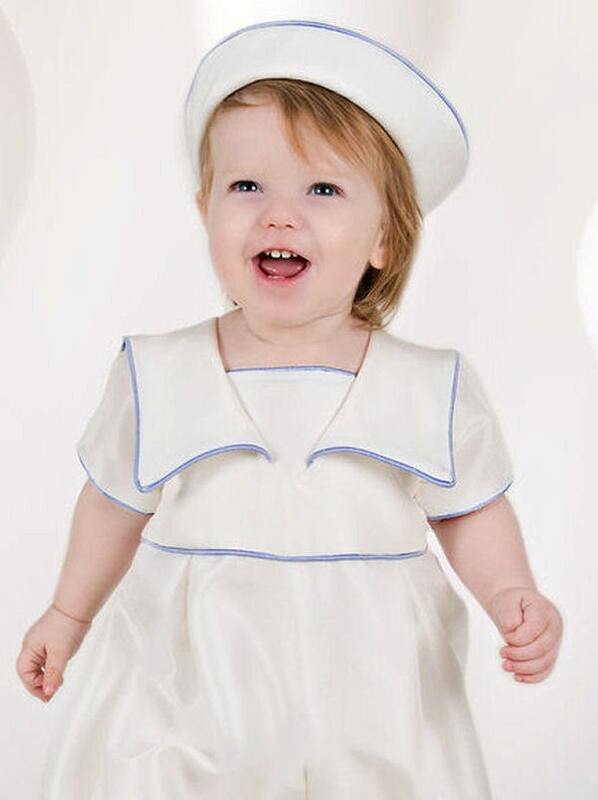 Our take on the sailor outfit. 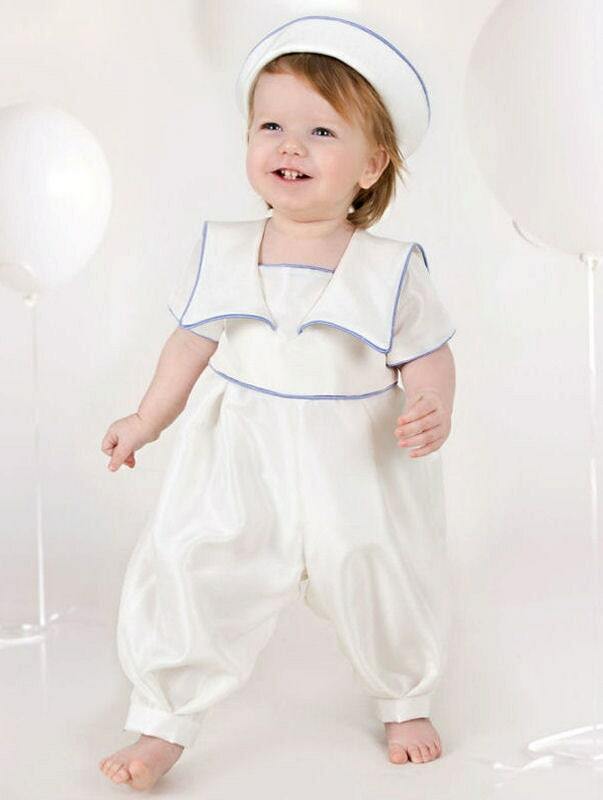 Simplified to create a boys romper outfit that any parent would love to see their little boy in. 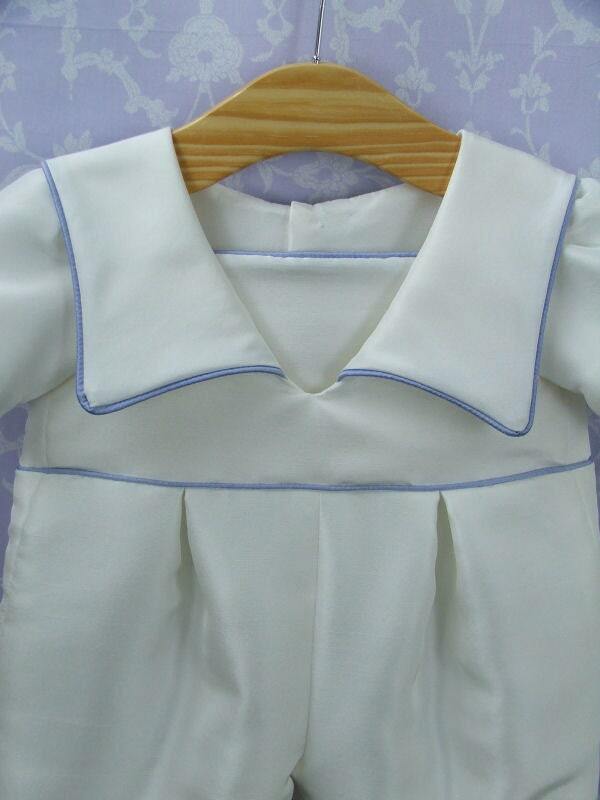 A broad collar and inset front bodice all trimmed with fine soft blue piping. Simple capped sleeve with the same blue typing. The bodice waist line also has the fine soft blue piping. 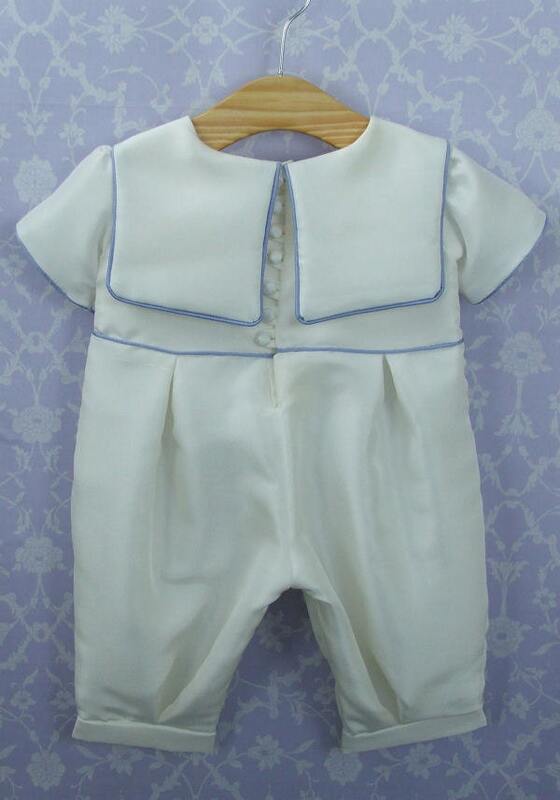 The back bodice has covered buttons and rouleau loops as additional fastening. The back collar is broad and square following the sailor theme through. The romper legs have poppers for easy access. Matches any of our accessories please see our shop. 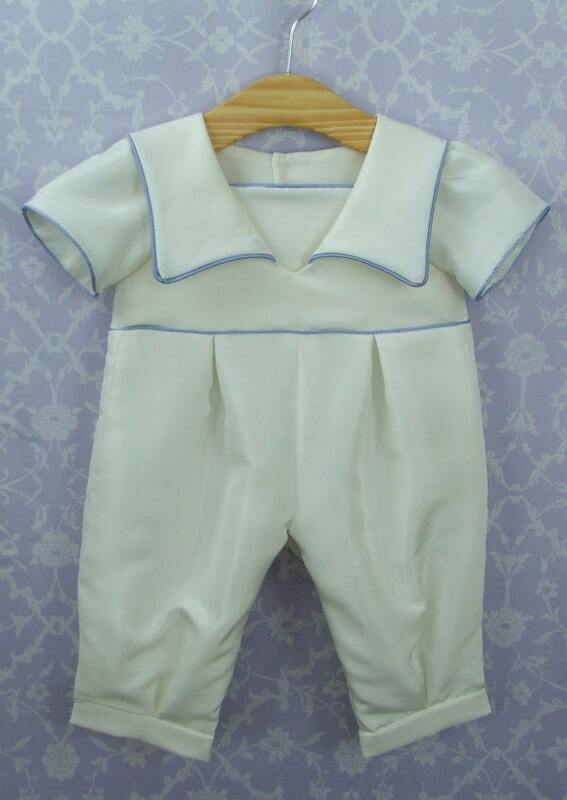 The main romper outfit is 100% dupion silk with a synthetic lining. The nature of dupion silk is such that it has a natural finish that includes variations in the weave and occasional slubs (thicker strands) that are all a characteristic of this beautiful silk. Orders take 3-5 working days for production, though a rush order may be considered if requested and agreed by email prior to ordering. Once created , I usually post every day Monday to Friday. I accept payment by Paypal or debit/credit card, as well as Etsy gift card. I do not accept e-cheques. Personalised orders cannot be cancelled once they have been made. Orders take 3-5 working days for production, delivery with in the UK is with in 15 days and worldwide up to 25 days after production. If for any reason your wish to return your purchase please contact me, within 14 days of receipt, to arrange an exchange or refund. If your order is returned in perfect condition - still in any packaging - then Okika will provide a refund, less the outbound postage cost. Return postage is the customer's responsibility. Personalised products can not be refunded unless faulty.